There’s few long running posts I have managed to do year after year in this blog; this is one of them. Every year I predict the awards, then report on how my predictions went after the fact. And then I brag about how good a job I did in reading the tea leaves and predicting the awards. Here’s the same prediction posts with my BBWAA award prediction results for 2014 (6 for 8), 2013 (8 for 8), 2012 (7 for 8), 2011 (8 for 8), and 2010 (8 for 8). My Final Predictions with discussion: We went 7 for 8 in predictions for 2015. I missed on the NL manager of the year. 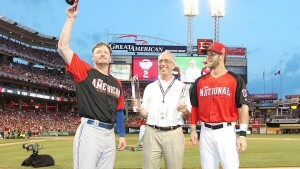 NL MVP: Predicted Bryce Harper. Actual winner: Harper unanimously. After all the angst about narrative, the voters did the right thing and selected the only guy who made sense to select. NL Cy Young: Predicted Jake Arrieta. Actual winner: Arrieta, with 17 1st place votes. Scherzer 5th. NL Rookie: Predicted Kris Bryant. Actual winner: Bryant. Unanimous winner, no real challenger in the NL. NL Manager: Predicted Terry Collins. Actual winner: Joe Maddon, with 18 1st place votes. My guess (Collins) came in third. This was probably a dumb prediction; I should have “read the tea leaves” a bit more in terms of narrative, which drives these awards so much, and correlated the fact that it was the Cubs (a high profile team), Maddon (a high profile manager) and the fact that the Cubs did in reality really exceed expectations this year. AL MVP: Predicted Josh Donaldson. Actual winner: Donaldson, with 23 1st place votes over Mike Trout, who many argue (yet again) had a better statistical season. AL Cy Young: Predicted Dallas Keuchel. Actual winner: Keuchel with 22 1st place votes over David Price‘s 8. In my 2015 post I also predicted the “Comeback Player of the year awards,” given a couple of weeks ago. NL Comeback: Predicted Matt Harvey. Actual winner: Harvey, as announced on 11/5/15. Really no better option in the NL than Harvey, who had a very solid season after missing the entirety of 2014 with Tommy John surgery. AL Comeback: Predicted Prince Fielder. Actual winner: Fielder, as announced on 11/5/15. Really, unless you were going to give Alex Rodriguez the award for his drug-related suspension, there was no better NL candidate. Other Awards given that I don’t try to predict anymore. Fielding Bible Awards: not an official award but certainly a better way of evaluating defenders than the Gold Gloves (though, to be fair, they’re getting much much better at identifying the true best defenders year in, year out). Gold Gloves; A couple of questionable awards for the Gold Gloves; we’ll post a separate fielding award post reviewing the Gold Gloves, Fielding Bible awardees and look at the various defensive metrics to see if/how they all align. 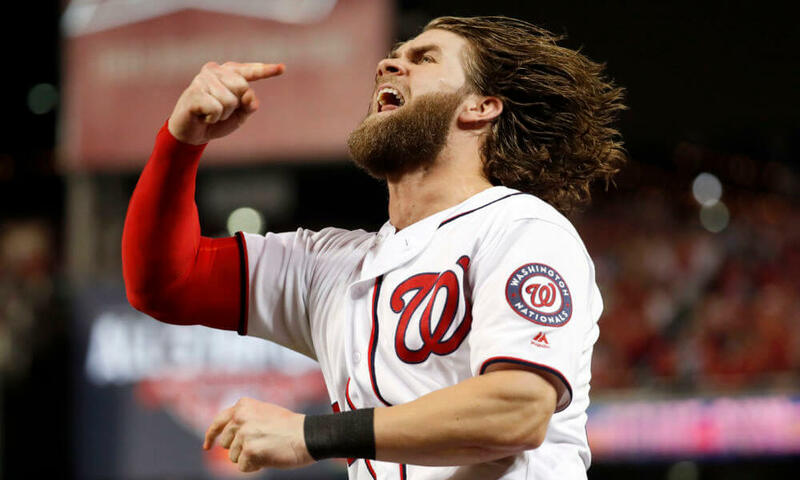 Silver Sluggers: Bryce Harper wins, no real surprises. A slew of other Sporting News awards, mimicking the BBWAA awards: googleable but more or less following the above. MLB Player’s Choice Awards: Donaldson beats out Harper for POTY; also awards BBWAA-emulating awards that more or less follow how the actual BBWAA awards went. Links to all the awards I know of plus the full off-season schedule of events is on my 2015-16 Off-Season Baseball Calendar. That’s it for the silly season! On to the fun business of player moves for 2016. 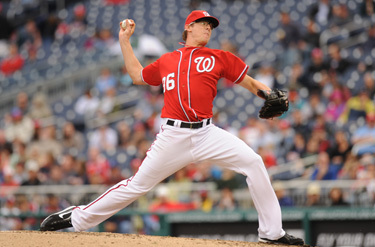 Tyler Clippard has been one of the few bright spots for the 2013 Nats; why isn’t he closing? Photo Masn. Excellent, I was just thinking that I had nothing to write about and MLB Nats beat reporter Bill Ladson posted a mailbox. Honestly, if I had a steady stream of people emailing me questions I’d have a field day. I’d post so much content my hands would melt from carpal tunnel syndrome. I’d post 8,000 word columsn like what Bill Simmons used to do. Anyway. Here’s how I’d have responded to the questions Ladson took. As always, I write my answer here before reading his and edit questions for clarity/conciseness. Q: Given the way Dan Haren has pitched since being activated from the disabled list, do you see any chance the Nationals re-signing him? A: Nope. Zero. Zilch. They’re not going to make another $13M mistake in 2014, not with the way that Taylor Jordan has pitched. The Nats little splurge last off-season pushed their payroll into unknown territory, and I’ll bet they bring it back (especially since that pocketbook hit brought nothing but a .500 record). Dan Haren is more likely to get flipped to a pitching starved contender in the next week (unless the Nats stupidly hold out for too many prospects, as seems to be the case) and will be plying his trade elsewhere next season. Ladson says no as well but then completely hedges his answer, saying that “things could change” and “we should have more information in the off-season.” Well, can’t that be the answer to every question? 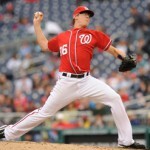 Q: Why isn’t Tyler Clippard closing? A: Because the Nats stupidly gave Rafael Soriano a $30M deal, and he’s a “big name closer” that someone in this team’s executive heirarchy was convinced that we needed. I don’t think it was Mike Rizzo; this moves smelled like a fan-boy ownership panic move in reaction to Drew Storen‘s NLCS Game 5 meltdown. The problem with Soriano, as has been well established in his prior stints, is that he’s a whiner, a clubhouse cancer, and a problem child when he’s not used in save situations. His track record speaks for itself: look at his seasonal performances when he’s a closer versus when he’s not. He wore out his welcome in Tampa Bay with probably the most easy-going manager in the game Joe Maddon. We’ve already learned this year he doesn’t work out with his fellow relievers, sits off to himself, isn’t a part of the team. Great acquisition guys! We played in the Diamond Dream Foundation golf tournament yesterday and had the opportunity to play alongside former Baltimore Oriole pitcher Dave Johnson, who now does radio work for the Orioles on MASN. This same topic came up; why isn’t Clippard closing but more importantly; what are the Nats going to do with Tyler Clippard in this coming arbitration hearing? Johnson said that the save statistic is what the players wanted to be judged on for arbitration hearings, and now they’re slaves to it. Clippard is having a fantastic season, but isn’t the closer, and he belives that management isn’t going to want to pay him $5-$6M to be a “middle reliever.” I’m guessing the Nats try to sign Clippard to a 2-year deal this off-season, buying out his arbitration years. They’ll never do this, but another option for the team is this; trade Clippard to a team looking for a closer, get prospects back, and then his pay becomes commensurate with his role. 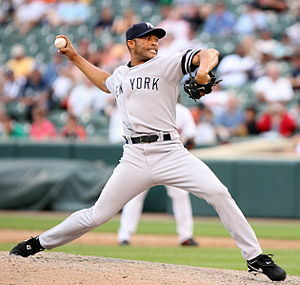 But this would significantly weaken the bullpen going into next year needlessly. Its only money; if the Nats didn’t learn this from last year’s transactions (letting Tom Gorzelanny walk over a couple of million dollars? 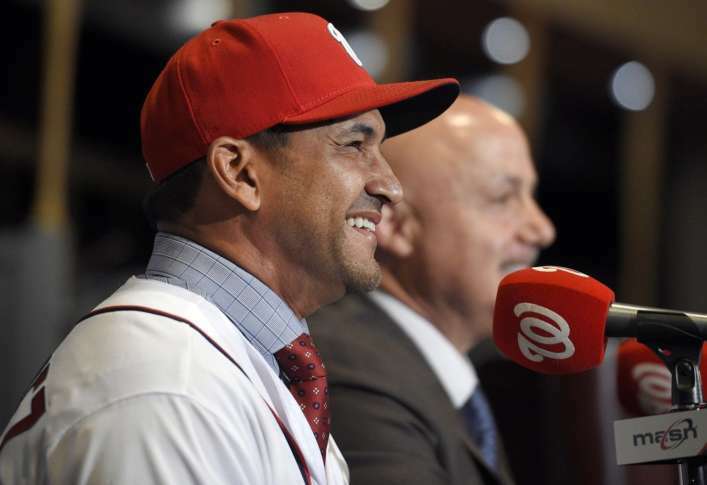 Non-tendering John Lannan to save $5m?) then that’s unfortunate. I’d rather have had a couple of guys getting a ton of money as insurance policies than a $30M closer for a .500 team. Ladson pointed out curious reliever usage in the last series and postulates that Davey Johnson may have had enough of Soriano himself. We’ll see if Clippard closes the rest of the way and how Soriano handles it. Q: Do you think Mike Rizzo would consider hiring Mike Scioscia as the Nationals’ next manager? Looks like his time in Anaheim may be ending. A: Absolutely. If the Angels are dumb enough to let Mike Scioscia go, then I agree with Buster Olney and Jayson Stark, who talked about this same issue on the Baseball Tonight Podcast late last week. They said that if Scioscia is fired, “he’ll have a new job in 0.2 seconds.” The Angels aren’t losing because of Scioscia; they’re losing because the GM wanted to spend $400M on aging FA bats in Albert Pujols and Josh Hamilton while spending about $5 on starting pitching this year. (I STILL cannot believe the Joe Blanton contract; how does he get a 2yr/$15M contract after the way he pitched in 2012??). Ladson agrees. Q: Considering how well Werth has played this year, are we giving up on Span too soon? A: Possibly. Or possibly we were just expressing irritation that Denard Span is playing exactly as we feared he would; posting a 91 OPS+ which is nearly identical to his production in 2010 and 2011. I’m tired of repeating my own opinion on the matter (we didn’t need Span, we could have kept Harper in center, you’re wasting Harper’s defense in left, we could have used Morse’s power, we didn’t need to give up our best starting pitching prospect, defense in LF and 1B is overrated, blah blah blah). Ladson says that Span has a “friendly contract” and can be dealt. Sorry; don’t see that. Rizzo’s way too egotistical to admit a mistake and deal Span now. Q: Looking to next year, doesn’t Steve Lombardozzi remind you of Chase Utley at second? 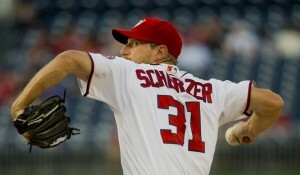 And what happens with Tyler Moore as either an outfielder or first baseman? Both of these young guys are too good not to get a real chance at starting for the Nats. A: Steve Lombardozzi as Chase Utley? Uh; Utley averaged 30 homers in his peak years and has more than 200 for his career. 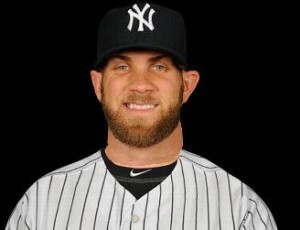 Lombardozzi has four. 4 homers in his life. Lombardozzi is a slap hitter, Utley is a middle of the order power hitter. Other than that, yeah I guess they’re similar. As for Tyler Moore I guess the questioner either a) hasn’t seen his seasonal numbers or b) has forgotten that the Nats have guys locked up through 2014 at every position that Moore can play. Unless there’s an injury, the guy is a backup in 2014. Ladson agrees with me on Lombardozzi. As for Moore, Ladson seems to think that the Nats might trade LaRoche. Really?? 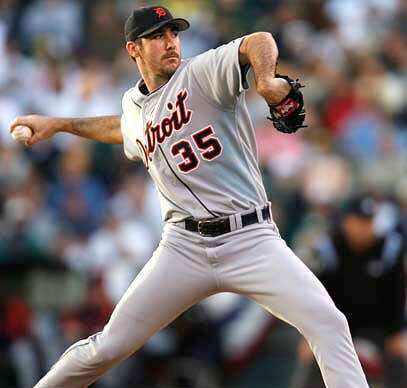 Who is going to take LaRoche for 2014? He’s hitting .238 with barely any power for a first baseman. Who’s taking that contract and giving us anything of value coming back? Wishful thinking. Q: Would the Nationals have interest in signing outfielder Jacoby Ellsbury, who is a free agent after this season? 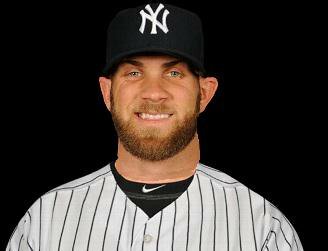 A: I would think not; Jacoby Ellsbury is going to want too much money, we have no place to play him, and I don’t think he’s worth the money. He had one great season, a couple of decent ones and otherwise is a below-average offensive outfielder. I think he’s a lock to stay in Boston. Ladson notes that Ellsbury is a Scott Boras client so you never know what’ll happen.